Your home’s roof can endure years of exposure to rain, sun, wind, and other severe weather conditions before suffering extensive damage. It is tough for homeowners to assess when a roof is nearing the end of its life, or when a new roof is needed from a competent roofing contractor in Tampa, Carrollwood and surrounding areas such as Dynamic Roofing Concepts. Roofing specialists agree that a roof inspection by a qualified roofing contractor should take place at least every three to five years. Making a critical judgment about the condition of your home’s roof should not be done without first consulting with our professionals at Dynamic Roofing Concepts. Make sure the roof protecting your home and family is ready to protect you from the elements. 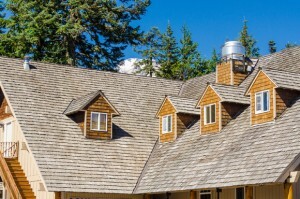 Contact Dynamic Roofing Concepts to schedule a professional inspection of your home’s roof. Our team of professional roofers in Brandon, FL and Tampa can thoroughly inspect and assess your roof to provide a comprehensive report on its condition. We can help you determine if replacement is the best option, or if making repairs can extend the life of your roof. Call us today at 813-257-9355 to schedule a free estimate.